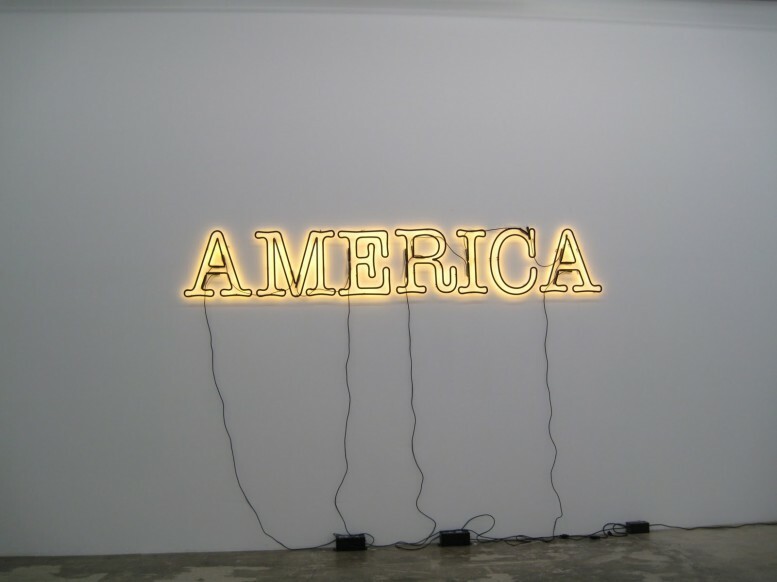 Now on view at the LACMA in Los Angeles – Glenn Ligon: AMERICA is the first mid-career retrospective of Ligon’s work in the United States. The exhibition includes unknown early material and the reconstruction of seminal bodies of work such as the Door paintings, the coal dust Stranger canvases and the Coloring series. Ligon was born in the Bronx in 1960 and continues to live and work in New York. He has pursued an incisive exploration of American history, literature, and society across a body of work that builds on the legacies of modern painting and more recent conceptual art, working in a variety of media, including painting, neon, installation, video and print. In the late 80s and early 90s, Ligon became known for work that explores race, sexuality, representation and language. On view until January 22, 2012.